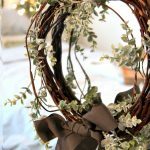 Simple DIY winter boxwood embroidery hoop wreath – Follow this tutorial and learn how to make an easy and beautiful wreath, perfect for decorating through the winter. 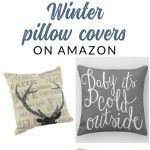 Take a scroll through Pinterest lately, and you may notice that it seems like embroidery hoop wreaths are popping up everywhere. It’s no wonder why. 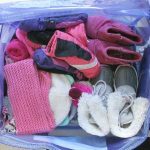 They are simple craft projects, and they are a fun option to try instead of a full, traditional wreath. 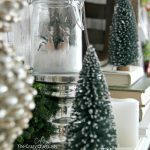 Related: If you’re needing more simple (and inexpensive) winter wreath inspiration, check out these Winter Wreath Ideas – they all started with dollar store supplies. Make as many as you like. 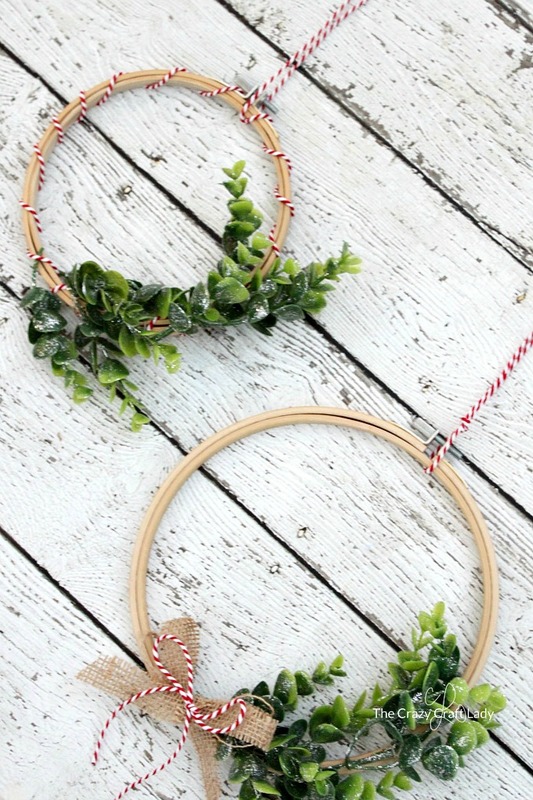 I think that embroidery hoop wreaths look better displayed in groups of two or more. If you’re looking for more unique wreath ideas, check out these paper doily wreaths. 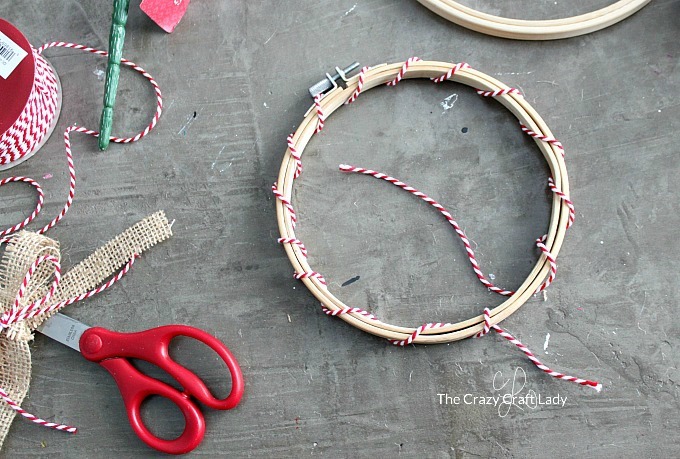 Wrap the embroidery hoop with red and white twine. 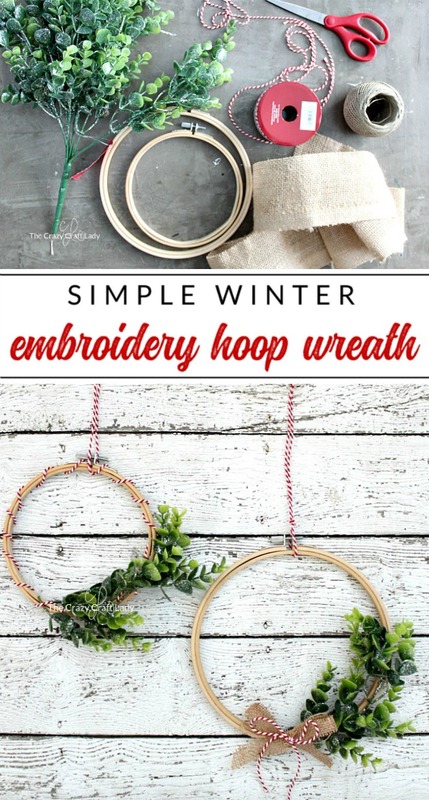 Wrap the twine all the way around the hoop, at about half-inch intervals. Secure the ends of the twine with a simple knot. 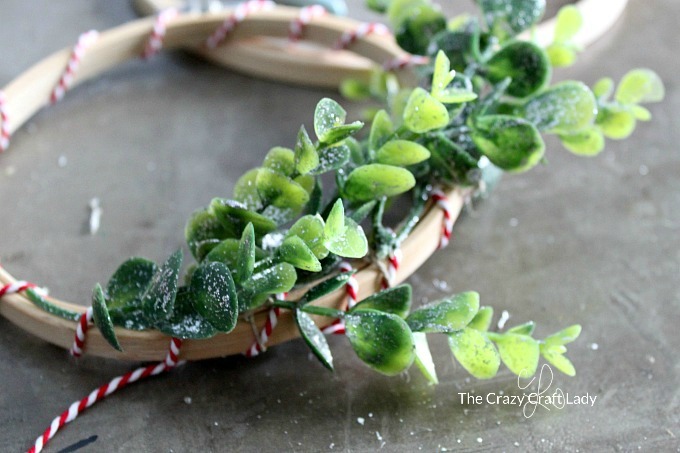 Separate and trim the sprigs of the faux winter greenery. I used glittered boxwood, because I think it has more of a wintery feel. 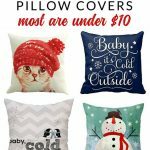 Feel free to use anything you like – even fresh greenery. 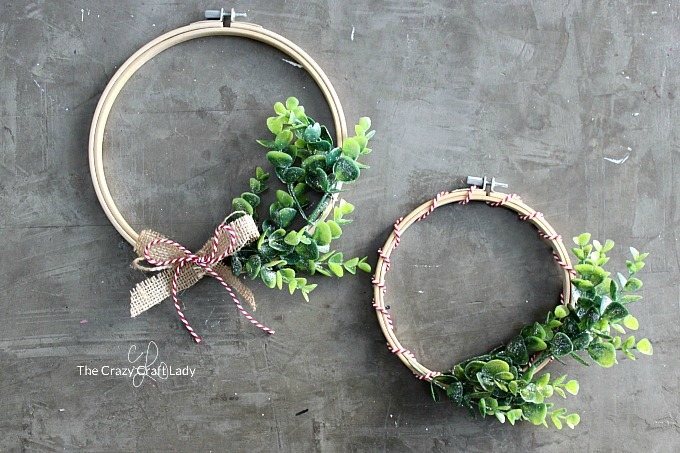 Using plain brown twine, tie small pieces of greenery to the bottom-right edge of the hoop. Style and arrange as necessary. 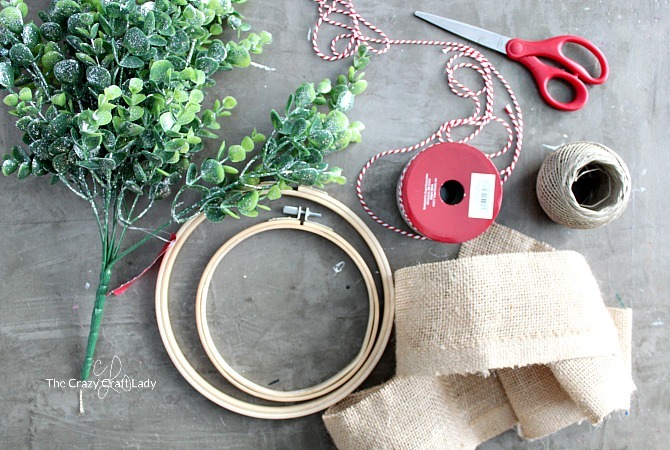 Make a burlap and twine bow for the wreath. 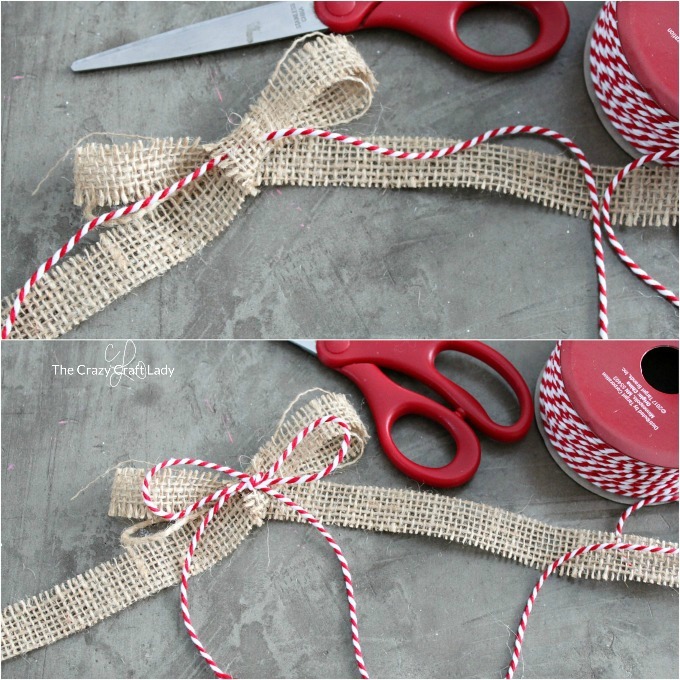 Cut a thin strip of burlap (or use thin burlap ribbon) and tie in a bow. Be sure to cut the burlap straight between the threads to prevent fraying. 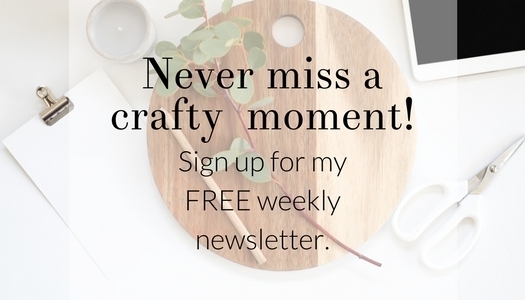 Since you only need a small piece, you could just use the scraps from another burlap craft project. Thread a piece of red and white twine through the loop on the front of the bow. Then tie the twine in a bow as well. Secure the bow to the bottom of the embroidery hoop. That’s it! 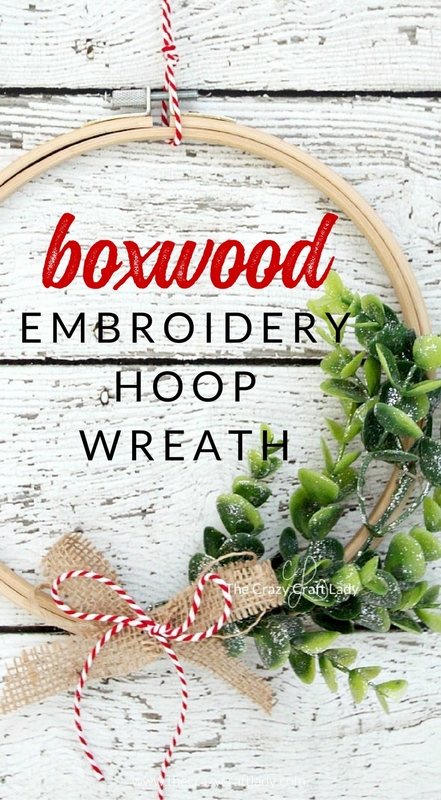 This embroidery hoop wreath comes together in a snap, and they’re a great way for making your Christmas decor last through the winter.